Still time for Christmas delivery! and the latest News! Still time for Christmas Delivery! Did you place your order with Hobby Bunker yet? Get your orders in as soon as you can we start to run out of stock and won’t have time to re-stock any of the hard to get items from our “cottage industry” vendors. When checking out if you need the item for “Christmas” please let us know in the “remarks” section on the checkout or let us know over the phone. If not for Christmas please say so as well. We have plenty of great items and new stock coming in daily. The store will be open everyday this month except the 25th. Can’t decide? Call and ask for Matt for last second ideas! We will have extended Holiday Store Hours. 1. Orion and Valiant Miniatures, Red Box, Lucky Toy and Strelets 1/72 Scale Boxed sets. 4. W.Britain’s marked some current and retired items to sale section (ACW, Napoleonic, Sudan and more)! John Jenkins Designs – December Releases announced. The Collector’s Showcase – Napoleonic Cuirassiers, American Rev. 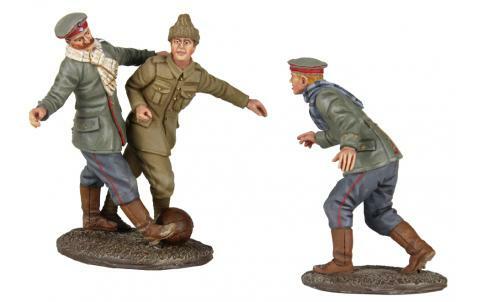 British Grenadiers and Waffen SS Germans just arrived…. Thomas Gunn Miniatures – December Releases announced. GUNN! Sorry the US Ranger’s were in short supply and have been sold out of pre-order. First Legion Ltd – Just added for Pre-order the New US Sherman Tank, 7 Years War Prussian Cuirassiers and a new Confederate Flagbearer. W.Britain – We just received many of the new Zulu War and WWI releases along with a restock. Also NEW W.Britain just in today..
King and Country – December Releases Announced. We also just aquired a nice collection of about 30 early World War II sets (stay tuned, they probably won’t be up for sale until next week on the Rare & Retired section. Barzso Playsets – We have a few hundred loose figures available as well as the Roman Civilians(loose). Expeditionary Force – The new Medieval Sets have been announced. 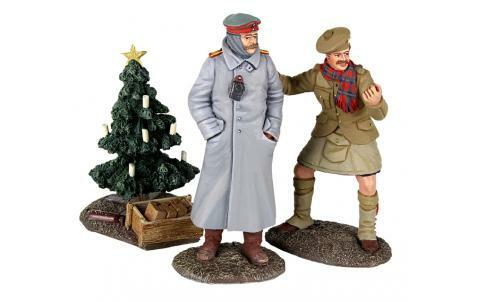 SELL TOYS – 4 New Sets of 1/32 Scale Figures now in stock.